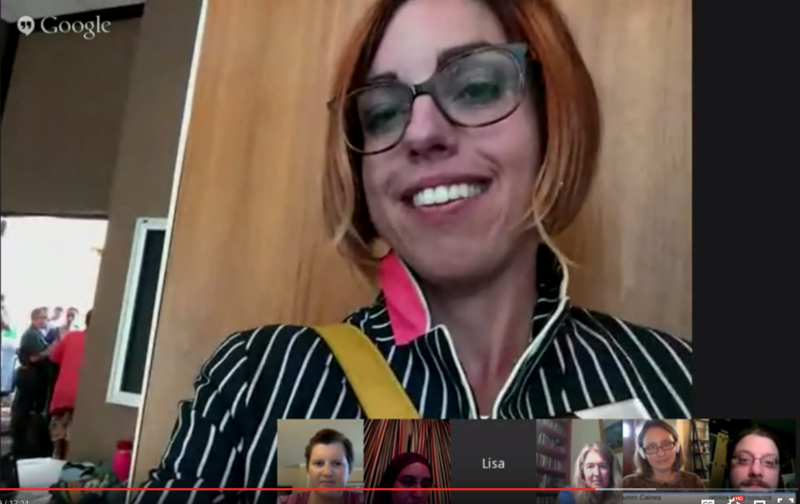 Today, after the keynote at the Digital Pedagogy Institute (unfortunately livestream didn’t work but the tweeters rocked and we can watch recording soon), with the help of our amazing onsite buddies Lisa and Sarah Hammershaimb (and Andrea Rehn, but she was off duty today! ), we talked to several people about their experiences at the institute. We learned that the network track especially was about making real connections. There was lots of positive energy about the hands-on, interactive, non-conference experience – highlighting that this is an ‘institute’ rather than a conference. Folks talked about how interactive the sessions were and shared with us some of what they learned and how some of the activities were conducted. They also gave us their reactions to Audrey’s keynote, which, given the tweeting, touched on a variety of intense and important topics related to dehumanizing forms of automation and the unappreciated value of the affective aspect of teaching. We are looking forward to hearing more about the institute as the week progresses. 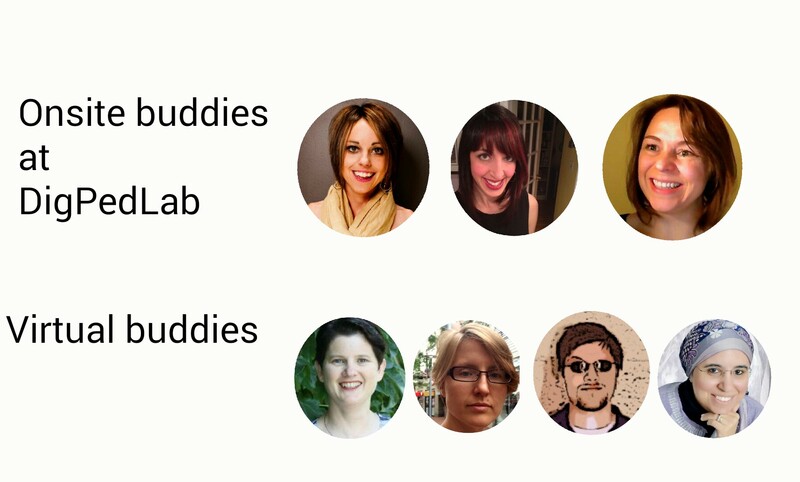 Our second hangout participants were buddies: @rjhogue, @bali_maha, @Autumm, @s_hammershaimb, @profrehn @merryspaniel, and virtually joining @writingasjoe, and onsite was George Station (@harmonygritz) and his colleague Ryan. Andrea provided us the first glimpse into the identity track and talked about how Adeline Koh modelled vulnerability in her own session. George Station generously shared lots of what we learned, including an ice-breaking activity involving nano-blocks (legos) and a jigsaw activity in the networks track. He also shared some of the technologies shared during the session. By doing so he highlighted the mix of theorizing and hands-on learning that was the Institute. Janine asked about lunch conversations which are often more exciting and important than sessions, George and Lisa said this was not that kind of event – the sessions themselves were intense and interactive. People at lunch maybe compared notes across tracks, but the valuable learning occurred mainly in the sessions. We thank participants for taking the time out of the reception social fun to meet with us and look forward to more. Next up is our virtually connecting session with the whole Networks Track participants as Bonnie Stewart has asked us to present Virtually Connecting as a form of networking! It’s all very meta! 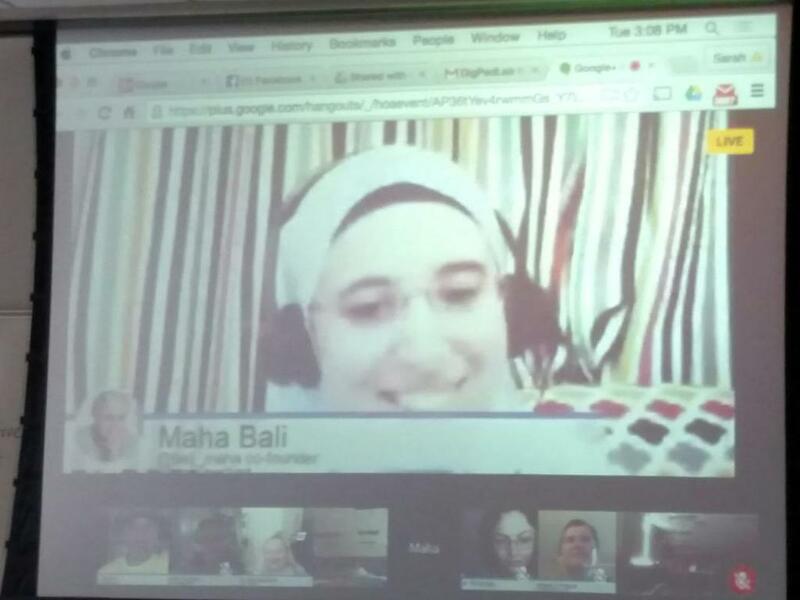 The session is scheduled for Tuesday at 3pm CDT and will virtually involve Maha Bali & Rebecca Hogue (co-founders) as well as new virtual buddy and previous participant (Autumm Caines), three previous participants in hangouts (Alan Levine, Suzan Koseoglu, Scott Johnson) and two new people (Bonni Stachowiak and Kelsey Schmidt). Excited! Liked Autumm’s observation on building caring into technology. As university and college become less and less available do to cost, it’s obvious looking for care from humans is an unavailable treat only for the rich.